The R1 Full-Zip Hoody can be your best companion whether you are running, climbing or mountain biking. 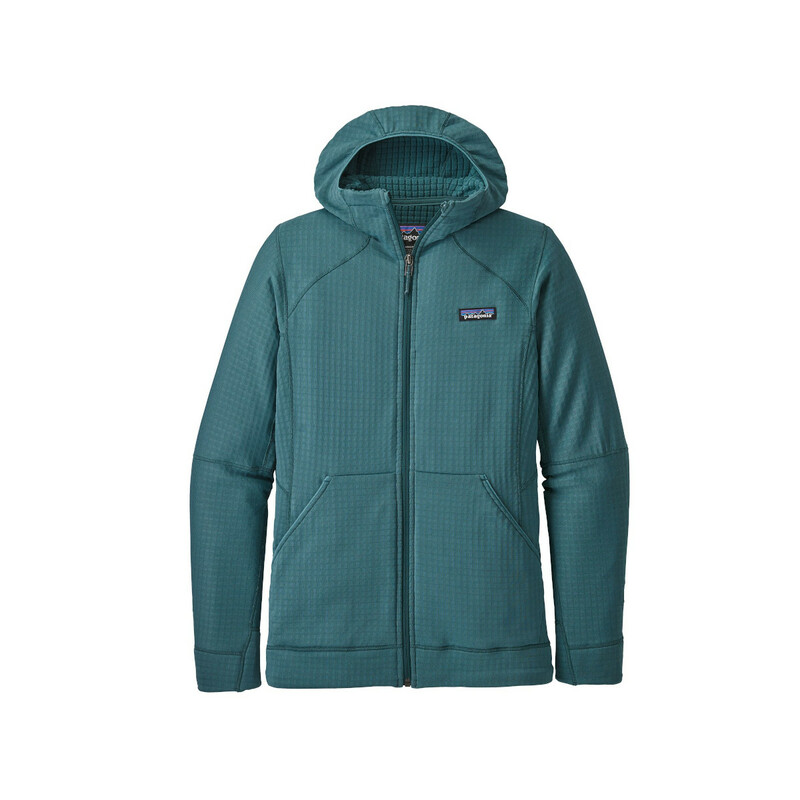 It is very versatile and will be able to keep you warm on your cold-weather adventures. The R1 has exclusive Polartec® Power Grid™ fabric which traps the heat but whilst remaining highly breathable and lightweight, it also has outstanding durability and stretch making it an all activity action fleece. The R1 Hoody's hood can fit comfortably over a helmet, it also has a low profile pair of handwarmer pockets and an internal zipper pocket inside the right one. Polygiene® is a permanent odour control finish designed to stop clothes from smelling. It uses a natural silver salt finish that inhibits the growth of odour-causing bacteria and fungi on the surface of your clothes, leaving them feeling and smelling fresher for longer even after heavy use and hard exertion. It’s tested to be completely skin-friendly, will last the lifetime of the garment, and it means fewer harsh wash cycles are needed to maintain your outdoor wear.